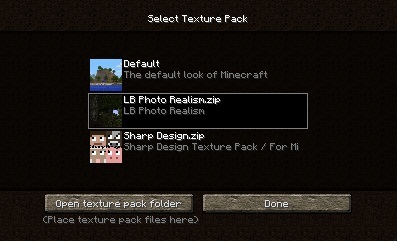 This guide explains how to install texture packs which have a resolution of 32×32 or higher. 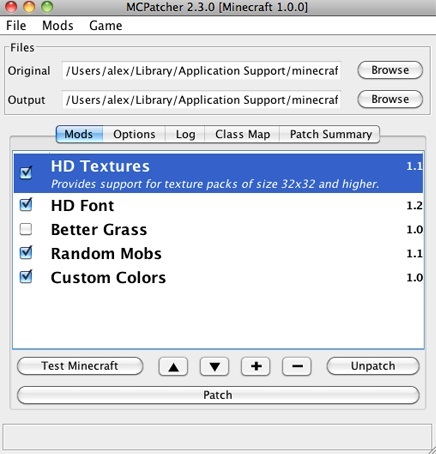 HD texture packs are not officially supported in Minecraft therefore the installation method is slightly different. 2. Open MCPatcher and click Patch. Make sure that the HD Textures option is selected. This only needs to be done once. 3. Download a HD texture pack from this website by clicking the download link under the Download button on a texture pack page. Do not un-zip the downloaded file. 4. Open Minecraft, click Texture Packs and then Open texture pack folder. 5. 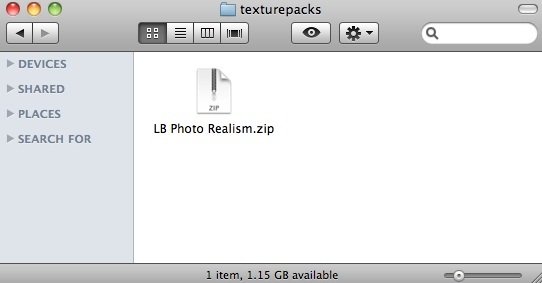 Place the texture pack file as a .zip into the texture pack folder. 6. The texture pack will now show up in Minecraft. Once Minecraft has been patched it is possible to switch between HD and normal texture packs from within the texture pack menu.